Women love handbags, and the best ones are high quality ones, well made to last for several generations. Yet those kinds of bags that all the girls want, are expensive, making it difficult for her to always maintain her handbag wardrobe. This makes them even more desirable for women, as a fashion statement or symbol of success. If you want to impress a lady, consider a designer handbag as a gift – it will definitely impress her beyond any other gift she receives! 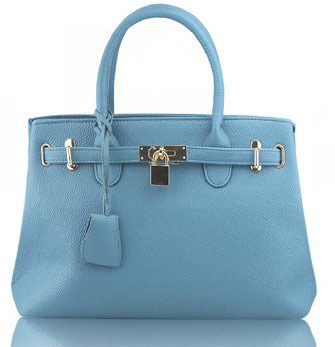 Hermes manages to top all handbags as the most high end brand in the world. These bags range in price from tens of thousands of dollars, to millions. These status symbols are sought after by the most wealthy of the world and they too can find themselves on waiting lists for many years. These bags aren’t accessible to the general public and very few will ever be able to afford one! Celine has been owned by Louis Vuitton since 1996 and bags from this brand aren’t easy to come by. They are so beautiful and rare that you may need to join a waiting list to buy one! This brand is known for high end luxury and elegance. Classic and timeless Chanel would make any lady feel like a queen. The entwined ‘Cs’ make these exquisite bags so unique and they are identified as beautiful stylish pieces. Simple and elegant, these handbags make the perfect choice as a gift. Perhaps one of the highest quality, most well-manufactured and long lasting handbags of all the designer brands. Louis Vuitton has created some of the most timeless pieces in the world and nothing says high end quality like this brand. The monogrammed collection is the most recognizable and famous with its chocolate brown color and the golden brown LV design splashed proudly across the fabric. Michael Kors is a brand that’s a favorite around the world with anyone of style. The lovely design of the MK brand means they can double as overnight or work bags. A favorite with the rich and famous, a Michael Kors handbag will thrill any lady. If you like to spoil your dates, then a designer handbag or wallet will definitely impress. And men who like to spoil women are always shown deep appreciation! If you have the means to pamper her, then by all means to so. You won’t regret it, and your reputation as a generous gentleman will be cemented.